Comments Off on Blog Fixed! The Blog is now repaired and working fine! Sorry for the blog errors and the down time. A corruption of the WordPress database caused a loss of all photos. I am looking for the photos in my archives and moving them to a safer folder so that WordPress cannot delete them again. 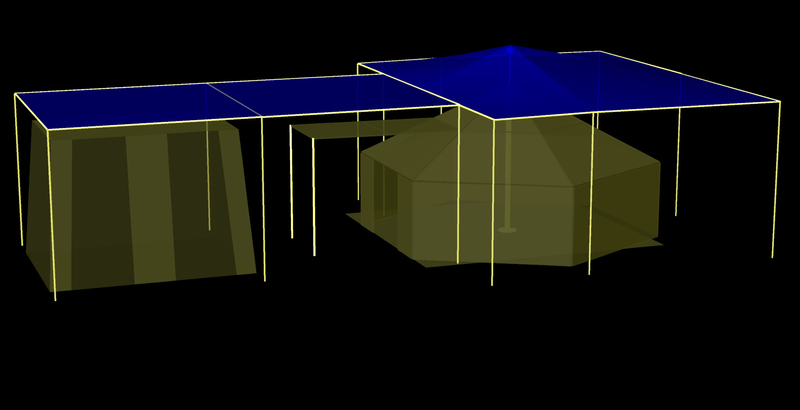 Since the 12 x 20 shade structure went up very well, I think a larger one that is essentially flat with a little roof rise in it, will work to cover the yurt.